The Photography Collection encompasses photography’s history, from 1839 to the present, with strengths in 19th- and 20th-century American masterworks. The Photography galleries in the Bloch Building display a survey of the creative history of the medium from daguerreotypes to 21st-century processes. New installations are presented about three times a year. The museum made its first significant acquisition of photographs in 1957, with the gift of 60 prints by Edward Weston. In December of 2005, through a combination gift and purchase, the museum obtained the renowned Hallmark Photographic Collection, which was comprised of more than 6,500 works by 900 artists. This acquisition immediately distinguished the Nelson-Atkins as one of the world’s premier museums for photography. Through the generous support of The Hall Family Foundation, the photography collection continues to flourish. Since 2005, it has grown steadily, with ongoing additions of American photographs, including substantial bodies of works by Ray K. Metzker and Terry Evans. Founded in 1964, the Hallmark Photographic Collection contains superb examples by virtually all major practitioners in the medium’s early and modern history. In addition to singular works of superior quality by a wide array of notable figures, the collection boasts substantial holdings by Timothy O’Sullivan, Harry Callahan, André Kertész, Todd Webb, Clarence John Laughlin, Dorothea Lange, Carl Van Vechten, Ralph Eugene Meatyard and Dave Heath. 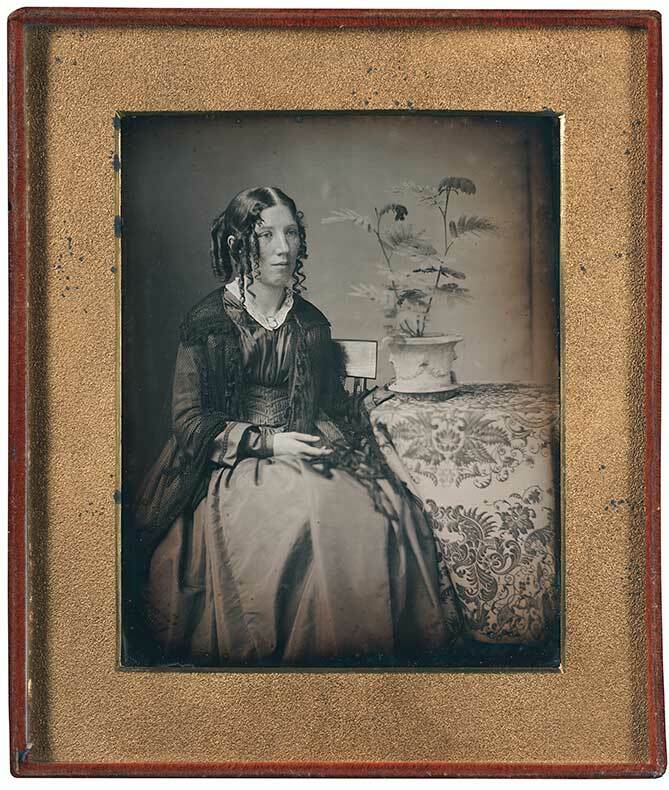 Another strength is 19th century American material, including one of the most extensive and spectacular selections of American daguerreotypes in the world. Due to the medium’s light sensitivity, the galleries are rotated five times per year. 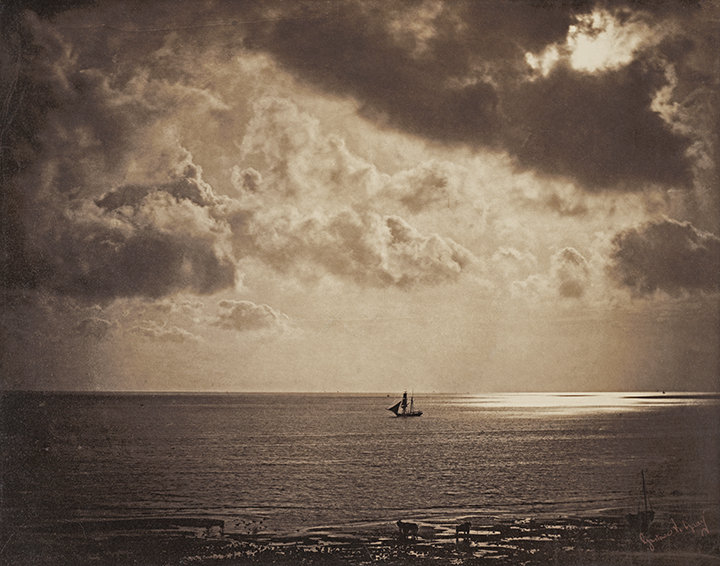 Gustave Le Gray, French (1820-1884). Brig upon the Water, 1856. Albumen print, Image: 12 5/8 x 16 inches. Gift of the Hall Family Foundation in honor of the 75th anniversary of The Nelson-Atkins Museum of Art, 2007.17.22. Charles Sheeler, American (1883-1965). 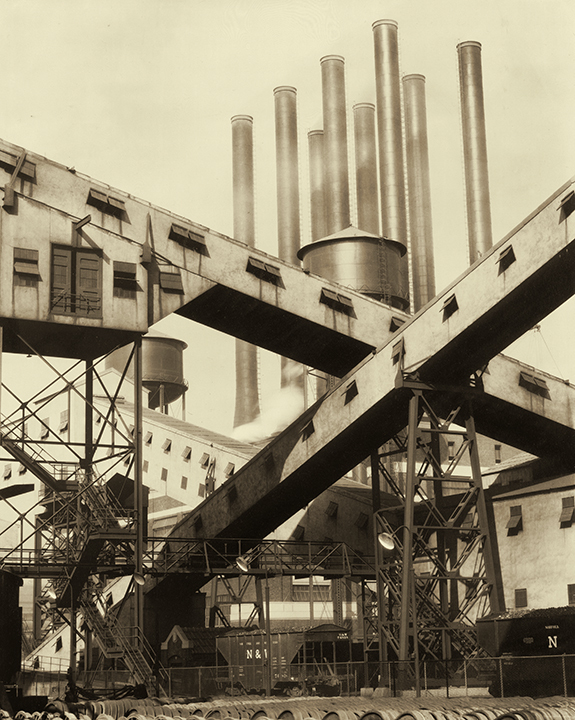 Criss-Crossed Conveyors–Ford Plant, 1927. Gelatin silver print, Image: 9 1/2 x 7 1/2 inches. Gift of Hallmark Cards, Inc., 2005.27.310. This work is copyrighted. Consult copyright information for permission to reproduce. 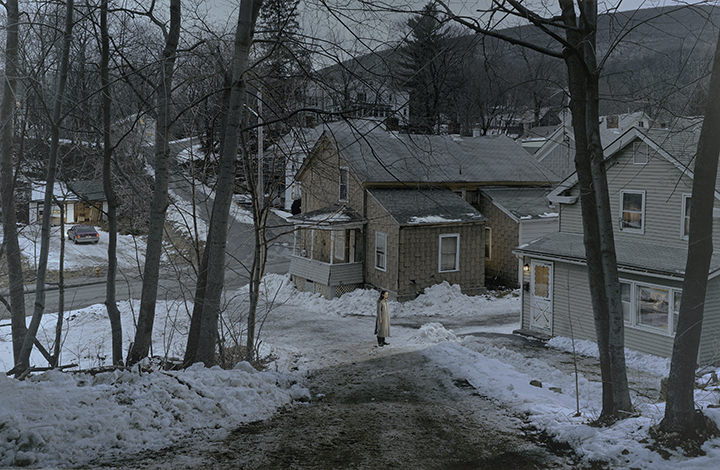 Gregory Crewdson, American (b. 1962). Untitled (snowy valley), 2006. 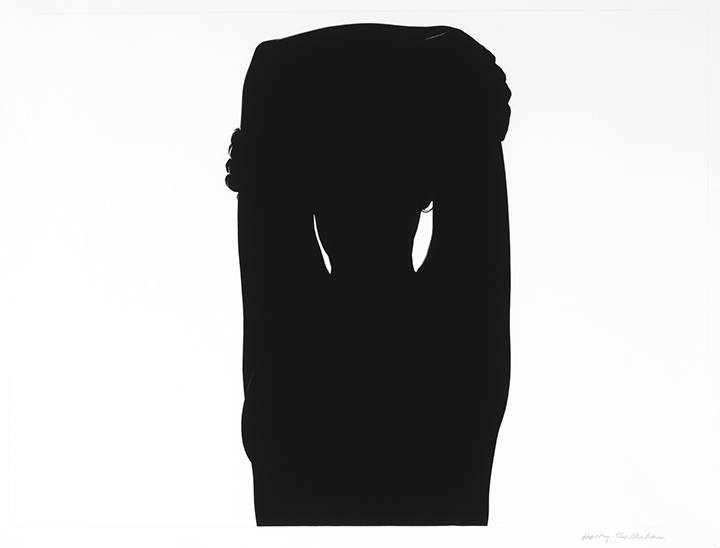 Inkjet print, Image: 4 feet 9 inches x 7 feet 4 inches. Gift of the Hall Family Foundation, 2008.47.1. © Courtesy of the artist and Luhring Augustine, New York. Alvin Langdon Coburn, English (1882-1966). House of a Thousand Windows, 1912. Platinum print, Image and sheet: 16 3/16 × 12 7/16 inches. Gift of Hallmark Cards, Inc., 2005.27.297. Charles D. Fredricks, American (1823-1894). 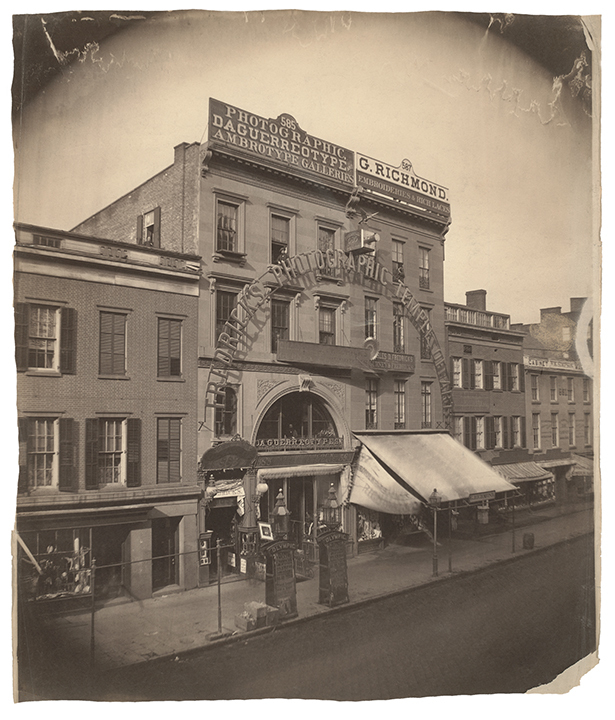 Fredricks’ Photographic Temple of Art, Broadway, New York, 1857. Salt print, Image: 16 1/8 x 13 1/2 inches. Gift of Hallmark Cards, Inc., 2005.27.291. Harry Callahan, American (1912-1999). Eleanor, 1948; printed 1980. 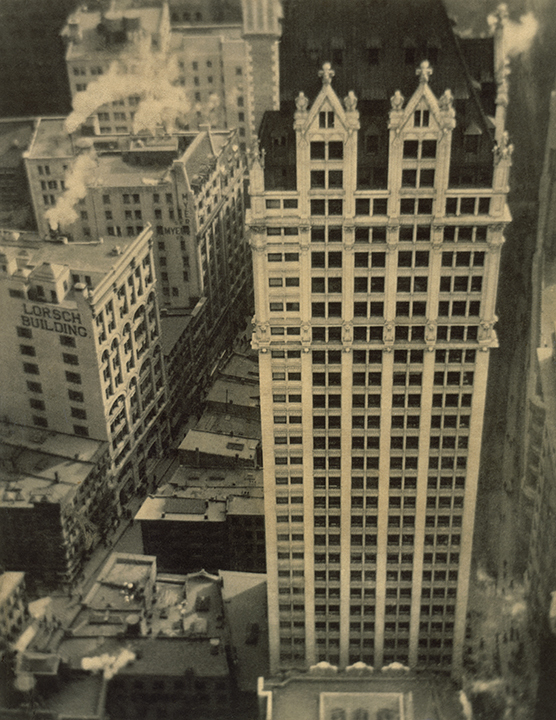 Gelatin silver print, Image: 9 1/4 × 12 9/16 inches. Sheet: 10 7/8 × 13 7/8 inches. Gift of Hallmark Cards, Inc., 2005.27.166. © The Estate of Harry M. Callahan. Courtesy Pace/MacGill Gallery, New York. Southworth and Hawes. Albert Sands Southworth, American (1811-1894); Josiah Johnson Hawes, American (1808-1901). Harriet Beecher Stowe, (ca. 1843-1845). 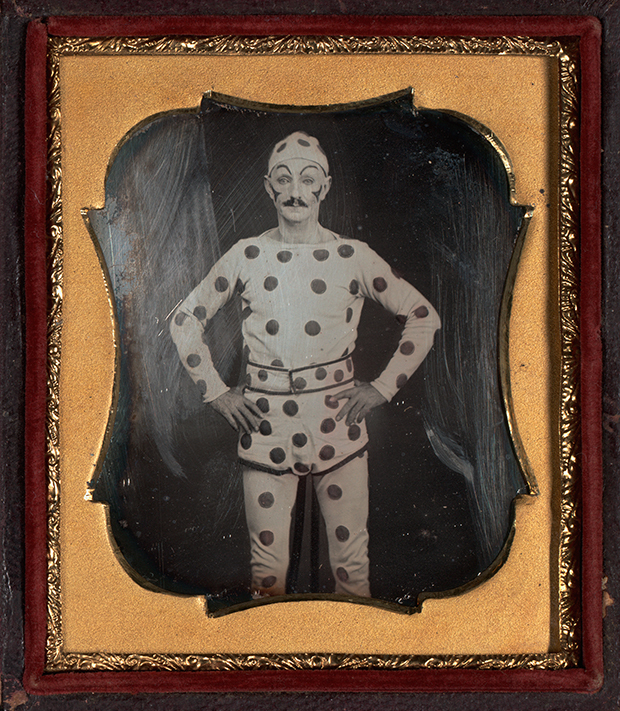 Daguerreotype, Plate (quarter): 4 1/4 × 3 1/4 inches. Gift of Hallmark Cards, Inc., 2005.27.13. © Nelson Gallery Foundation. Dorothea Lange, American (1895-1965). 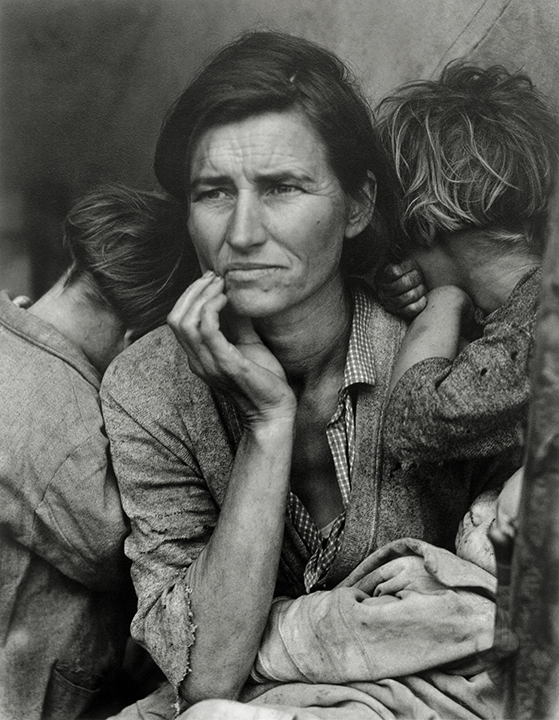 Migrant Mother, Nipomo, California, 1936; printed early 1960s. Gelatin silver print, Image: 13 3/8 x 10 1/4 inches. Gift of Hallmark Cards, Inc., 2005.27.305. © The Nelson-Atkins Museum of Art, Kansas City, Missouri. Carleton E. Watkins, American (1829-1916). 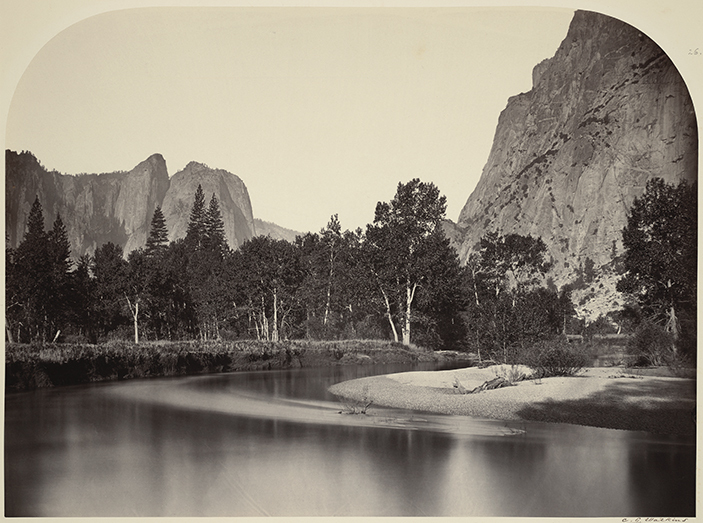 View from Camp Grove, Yosemite, 1861. Albumen print, Image and sheet: 15 1/4 × 20 3/4 inches. Mount: 21 × 27 inches. Gift of Hallmark Cards, Inc., 2005.27.245. Unknown maker, American. Clown, ca. 1850-1855.